As a leading outpatient physical rehabilitation facility, Long Island Physical Therapy & Wellness takes pride in providing superior-quality care to patients. Our licensed physical therapists specialize in the treatment of musculoskeletal, neuromuscular, and sport-related injuries. No matter what injury or ailment you are trying to overcome, we build our training regimens around your physical abilities and goals. Our therapists provide complete supervision as you work toward perfect health. We also offer personal training and nutritional counseling services, which maximize the patient's progress. For your convenience, we accept several different forms of payment and insurance. Regain your strength, mobility, and independence with individualized physical therapy. 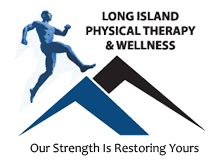 In 2000, Long Island Physical Therapy & Wellness was founded by Robert Lassig, MSPT; PT. Robert graduated from Long Island University in 1988 with a Master of Science degree in physical therapy. With more than 25 years of experience, Robert Lassig has extensive knowledge about treating orthopedic issues and commonly seen connective tissue disorders. When patients come to us, they experience a hands-on, comprehensive approach, as well as an individualized treatment plan. Our Plainview, New York-based facility is dedicated to delivering the highest standard of quality patient care to the community. Long Island Physical Therapy & Wellness specializes in treating common illnesses and disorders such as chronic neck and back pain, knee and ankle injuries, and sprains & strains, and spinal injuries. Monday, Wednesday, & Friday, 8:30 a.m.–5:00 p.m.
Tuesday & Thursday, 11:00 a.m.–8:00 p.m.